ISOLINE is suitable for all applications both civil and industrial that require the use of insulation material, without neglecting the price/quality relationship: refrigeration, air-conditioning, heating and plumbing, tanks, pipe fittings and water ducts. 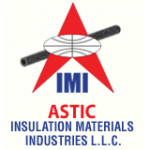 Rubber insulation rolls are available in plain, self-adhesive & FSK facing. They are made from light weight elastomeric material specially designed for thermal insulation usage. It is ideal for thermal insulation to prevent condensation problems on chilled water pipes or refrigerant lines.